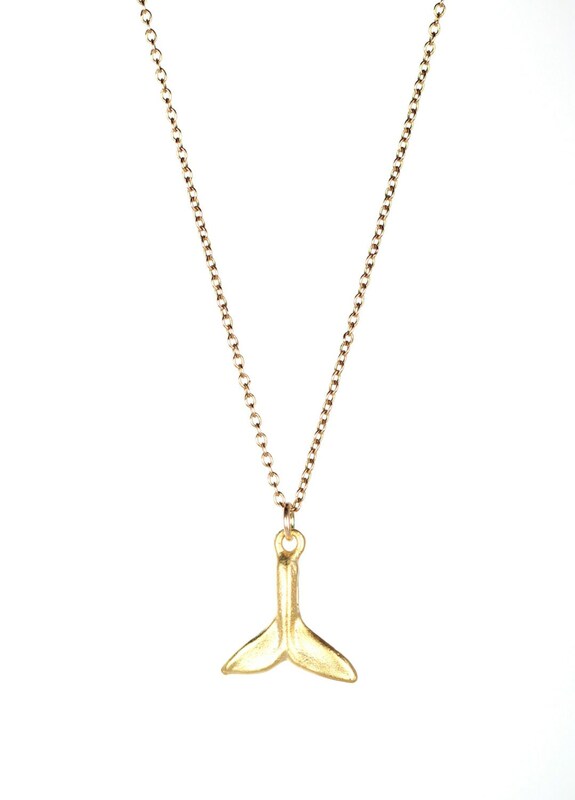 This easy to wear 22k gold plated bronze whales tail hangs from an 18 inch 14k gold filled chain. Please feel free to select a different length chain if you prefer! 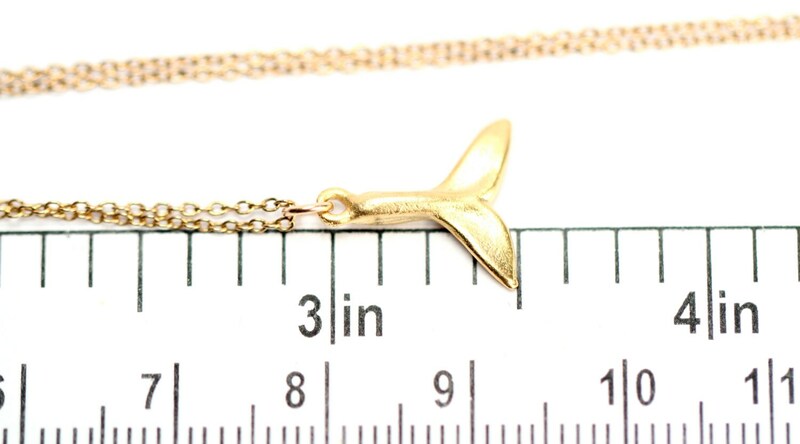 This little charm measures a little over half of an inch. Please use the last photo in this listing as a reference for measurement. The WhaleTail... This symbol stands for speed and strength. 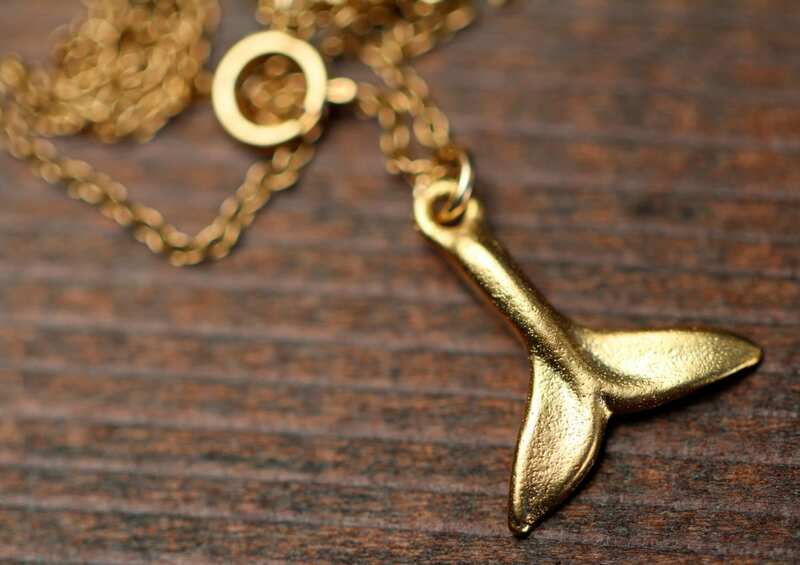 It also refers to the support often shown by dolphins and whales to humans in distress. 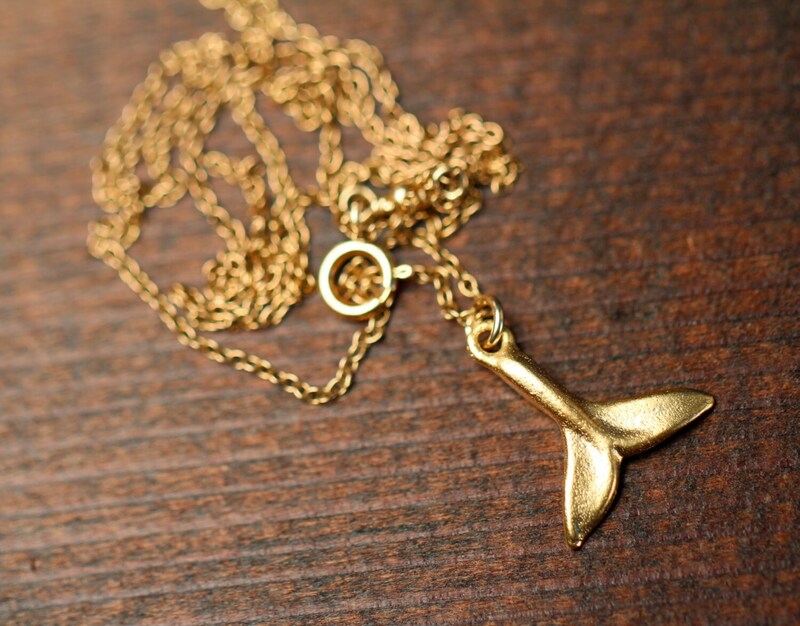 Therefore the whale tail is a symbol of protection. But also of speed, strength, success, confidence, sensitivity, and the bond between animal and human. Expresses respect for the sea and nature. 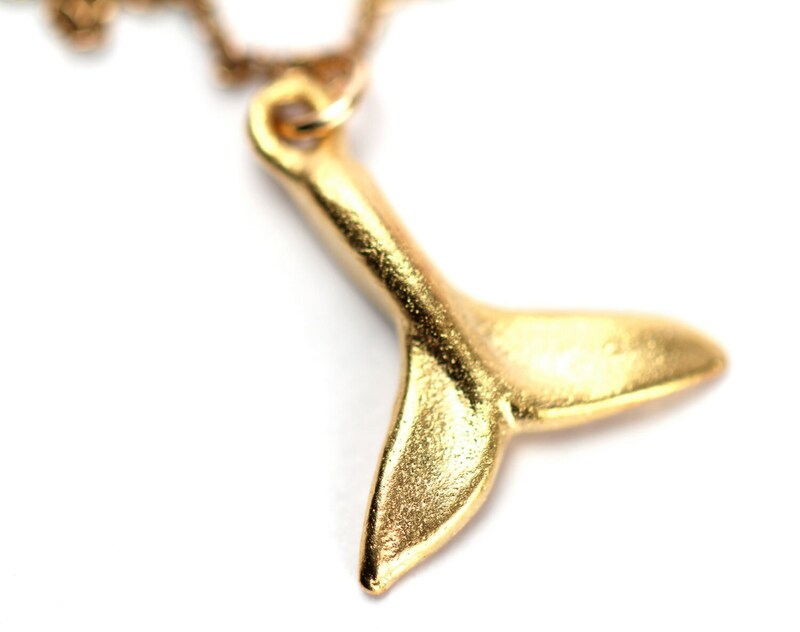 Also a good luck charm providing safe passage over water.